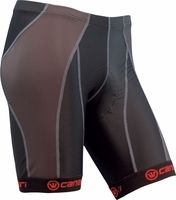 Cycling Shorts | Shop with Free Shipping | CycleGarb.com. 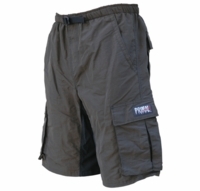 Cyclegarb is proud to offer the latest is shorts and bibs from the industry's leading manufacturers. 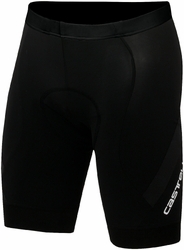 We offer Castelli, Loius Garneau, Canari, Primal and Fox. 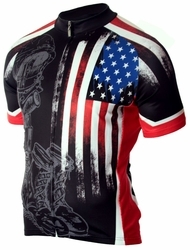 We also have themed shorts for the military riders out there. A good fit and quality are huge parts of enjoying your ride. So look around and make your choice for a longer lasting ride no matter your pace. We have a good selection to choose from so finding your perfect fit can be found right here. Perhaps the worst part of biking is riding in gear that doesn't fit correctly. On century rider you feel every stitch out of place and rough edge so go with a higher quality and the padding thickness needed to enjoy that ride. A new pair for the new season is hard to beat. Whether a gift or for yourself these have the variety to fit your needs. Bibs are here as well with choices and great fit. We are especially proud of our official military selection. Primal Wear has created a choice for those wanting to show their pride in the Armed Forces. The Army selection will fit your needs and with Primal Wear years of experience in creating good choices you know you have something worth riding in. The Air Force choices have matching colors and the classic black, white and Air Force blue. The Marine Corps have choices showing their pride while they ride in Camo or the traditional marine corps emblem in black with red and gold accents. The Navy is well represented with their choice in Black with blue white and yellow clean lines and fast looking items. With a single look other riders will know your pride in your services. Hill Killer has it's line right here and ready to ship usually within 24 hours and as always free shipping to the US. Their Elite series means more comfort and quality for the speed even climbing hills. Hill Killer bibs have been created for years and tested to get a good comfortable fit. Classic black with simple accents grabs the eye along with the signature "Hill Killer" lining the bottom of the leg. We also carry a fine line of College choices for your pride. Whether you are still in school or remembering the time you spent in college these will standout and are a great conversation starter. So check out our college section and see if we have exactly what you need. They are well priced and make for a great gift. We didn't forget about Mountain Bikers with choices to get you the look you want with the fit you need to make a great ride. Fox line is represented along with Primal and Canari Lines in the Mountain bike line. These manufacturers have been in the game long enough to know you want cargo and slash pockets to have the options for many rides. Several choices include a Quick Release buckle. Amazing how Mt. Biking options can be tough, durable and good looking all the while breathable to maximize comfort. So a trip to Moab or a quick stress relieving ride after class or work these choices work as hard as you bike. NBA fans will enjoy their choices from our line to support their team. These are officially licensed by the NBA and cover the teams you love to watch. A great gift idea especially for the person who is hard to shop for. Striking colors in this line means you will stand out and so will your team. For the ladies we have plenty of choices to match some of the great jerseys we proudly carry. Primal, Louis Garneau, Castelli and Smartwool all provide choices for women providing good fitting gear along with being good looking. Several are designed by women for the women. We even carry niche choices like NASA and the Maryland state flag prints. So take your time and find the gear that will be with you for years and fits your personality and style of riding. An investment in good cycling gear will mean that you'll have a better ride with comfort and style to keep you turning the pedals on the climb of a lifetime or speeding through the flats and into the final sprint. And remember like all of our products we offer FREE shipping for US orders and have a no hassle return/refund policy for all items. If you are not 100% satisfied we will make it right.